Black heavyweight vinyl, spined-outer sleeve, printed inner. 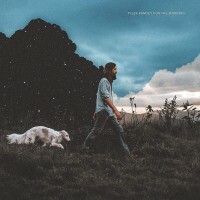 Tyler Ramsey, the former Band of Horses co-writer and lead guitarist, announces the release of his exquisite new album, For The Morning, on Fantasy Records/Virgin EMI. Inspired by the lush, deep green and stunning landscape of his home in the mountains outside of Asheville, North Carolina, Ramsey threads rock, country and folk into a rich, new branch of American roots music all his own.